We are so excited to begin our Friday night dance parties. We’ve got a great line up of music and all performances will be early evening. Enjoy a meal or a glass of beer or wine from La Plancha, listen, DANCE, and enjoy. Classic Rock Cover Band. Doors open at 6 pm PM. $10 at the door. Having grown up around musicians and actors, Caitlin has a natural connection to music and the stage. She is an Iowa native who has recently transplanted to Santa Fe in pursuit of a Masters degree in Art Therapy. After taking a leave of absence, she has been reintroduced to her love of music and acting. Gaining inspiration from strong female vocalists such as Etta James, Nina Simone, Mavis Staples and Linda Ronstadt, her voice is lyrical and demanding, powerful and languid. She desires to connect with the audience on a sensual level, encouraging people to feel the music. Little Leroy is a singer/songwriter guitarist born in Chicago. He grew up listening to WLS, WVON and WBAI, the Pop, Black and Alternative stations. Leroy made his first professional recording in 1967 and continued composing, recording and playing, meeting the Jefferson Airplane, Frank Zappa, Jeff Beck and Randy California when they passed through Chicago and taking inspiration from these and other great players. He relocated to NYC in ’77 and was immediately signed to John Cale’s (of the Velvet Underground) nascent label. After a long and circuitous route Leroy arrived in Santa Fe. His solo album, “Enjoying A Life” took Best Pop CD honors at the 2011 New Mexico Music Awards. Paul E, a singer/songwriter and guitarist, hails from the Deep South and still misses those conch fritters and grits. After cutting his teeth on slide guitar and vocals with the locals, he recorded 2 albums of original rock material on RCA records with his buddies in the Max Demian band. He relocated to NYC and recorded a solo album, then moved to LA, doing session work and playing the clubs there. He toured with various groups in the US and Europe, playing rock, blues and country. Finally, lured by its beauty and charm, Paul E planted roots in Santa Fe. Among other musical endeavors in town, he recently joined the Canyon Road Blues Jam band. Tone is a professional actor and veteran of stage and screen, but playing the bass is his thing. Born and raised in New York City, he learned to play folk guitar in high school in the 60s but decided that 4 strings had to be easier than 6. His first bass was a homemade washtub and broom-handle bass he played with a folk band in the cafeteria at Queens College. He made his professional debut on electric bass playing bubble-gum and top 40 hits with the Ohio Express in the 70s. 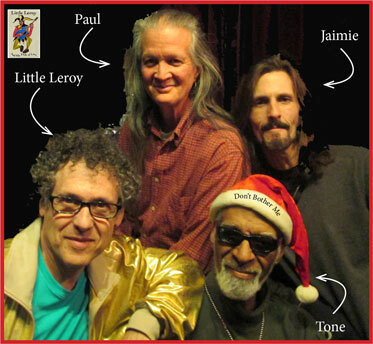 In Santa Fe, although still active in theatre and film, he’s best known as a bassist, emcee of the Canyon Road Blues Jam at El Farol and leader of his own jam band, Tone and Company. Jamie Russell was born in Brighton, England. He began to play drums at 10, on a set that had belonged to Keith Moon. He grew up in the diverse music scene in London in the ‘70s and ‘80s, surrounded by musicians from avant-garde jazz and prog-rock, to rock’n’roll — from his step-father Gary Windo, to Robert Fripp, Nick Mason, and Robert Wyatt. At the age of 12, his family of musicians moved to Woodstock, NY, where he got lessons from drummers Prairie Prince and Jack DeJohnette. By 1986, Jamie had taken up guitar, and as well as drumming, was writing songs. He lived on New York’s lower East Side and performed acoustically at Diana’s, Sidewalk Café, and Sin-e, alongside musicians such as Jeff Buckley and Latch’s Anti-folk Scene. In 2012, in London, Jamie recorded his first solo album, Fragility. He now lives in Santa Fe and has just released a new album, Santa Fe Sessions. Original Country and Western all the way from Austin, Texas. Doors open at 5:30 PM. $10 at the door. 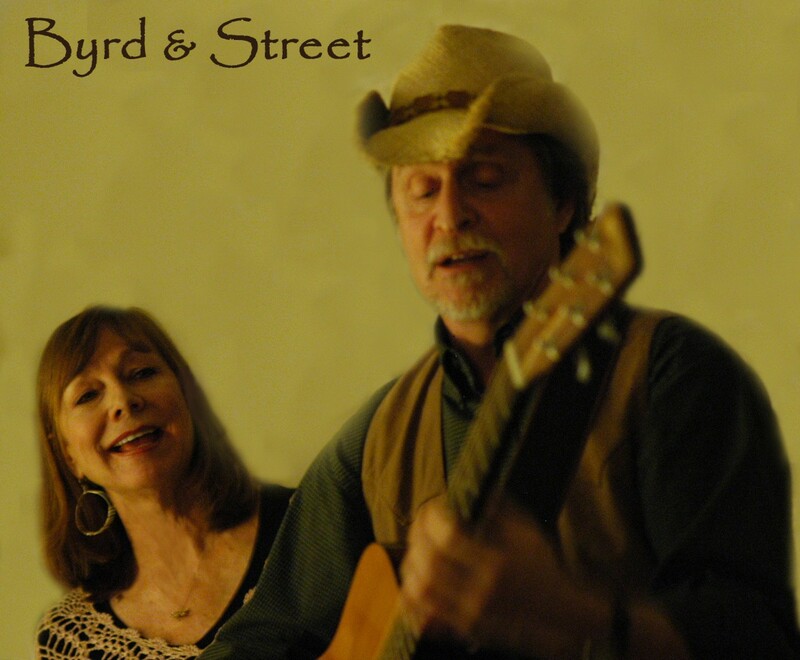 Byrd & Street are noted for their “solid first-class songwriting” and “impeccable male/female harmony.” Four-time nominees for Texas Music Awards (2009, 2012 and 2014,) three- time Kerrville Festival New Folk finalists including 2013, their songs have been recorded by other artists, including Paul Stookey of Peter, Paul and Mary. Their CD’s have made the Folk DJ “Best of Year” Charts, Freeform American Roots Charts, Americana Charts and the Texas Roots Charts. Their newest and 4th release, “Words and Music” has spent the past 4 months on the Top Albums Folk DJ Chart. Before Byrd & Street, Tommy Byrd played with the Geezinslaws, sang harmony on a Willie Nelson recording, was under contract with Stax Record in Memphis and won numerous songwriting awards, including the Song of Austin. Kathy Street sang with various folk and pop groups, a sisters’ quartet and performed in musicals and cabarets. As a duo, Tommy‘s “intelligent well-executed guitar playing” and his soulful voice is a perfect and rare blend with Kathy’s sweet, ethereal harmony. Their music has been licensed by the Austin Humane Society, Pet Connect, Austin German Shepherd Rescue, Rover to the Rescue, Heart Gallery of Central Texas, adoption agencies throughout the US, and the Redman House Foundation. Hear their music and find more about them at www.byrdandstreet.com . The duo will be joined by Dave Devlin on dobro, mandolin, and guitar, and Laura Leach on base. 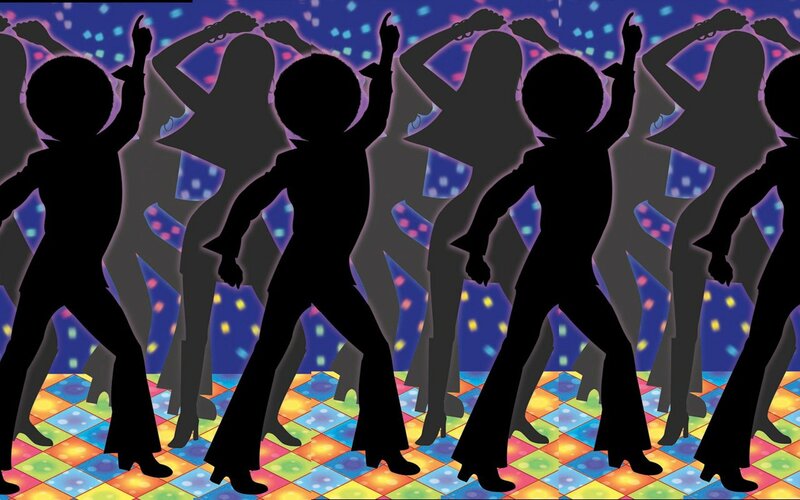 Get your retro clothes on and come out for the best Disco DJ in Santa Fe. $10 at the door. Vista Grande Social Club presents Live Salsa. $10 at the door. 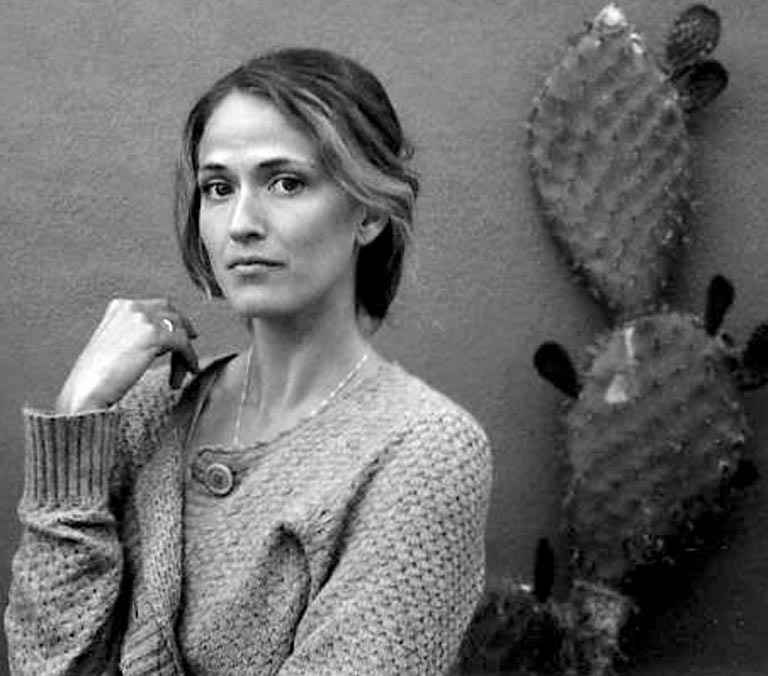 This entry was posted in live music and tagged Albuquerque Blues Connection, Caitlin Alexander, Dance, DJ Oona, Friday, Little Leroy and His Pack of Lies, Mexican Jerry, Rudy Boy Experiment, The Performance Space, Trash disco. Bookmark the permalink.